Farpointe Data’s proximity ID cards have been providing access control and security around the world for many years. Their superior design, manufacturing and competitive prices have helped them lead the way in identification. Farpointe's outstanding performance has made them the leading manufacturer of proximity ID cards and tags. The Pyramid Series Proximity®, from Farpointe Data, sets the new benchmark for reliable proximity ID cards and key fobs. For our selection of Farpointe smart card credentials click here , for Farpointe readers click here. The PSC-1 Standard Light Proximity Card is a clamshell style card backed by a lifetime warranty. 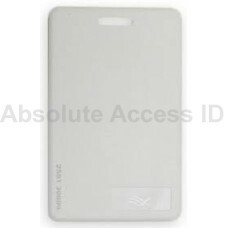 ..
Farpointe PSC-1-A AWID Compatible Standard Light Proximity Card is a clamshell card compatible with ..
Farpointe PSC-1-H HID Compatible Standard Light Proximity Clamshell Card is a 26 bit 125kHz proximit..
Farpointe PSM-2P, image technology proximity card is an ISO-Thin Credential, CR-80 31 mil, printable..
Farpointe PSM-2P-A is a printable proximity card (AWID Compatible) Farpointe PSM-2P-A, Image Tech..
Farpointe PSM-2P-H is a printable proximity card (HID Compatible) Farpointe PSM-2P-H, Image Techn..
Farpointe PSM-2S is a multi technology proximity card with a magnetic stripe. This card is a Far.. 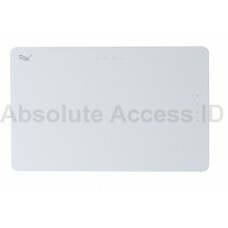 The Farpointe PSM-2S-A, is an AWID compatible Multi Technology Proximity Card. This access control c.. The Farpointe PSM-2S-H, is an HID compatible Multi Technology Proximity Card. This access control ca..
Farpointe PSI-4 is an image technology proximity card which is made from a durable PVC material. 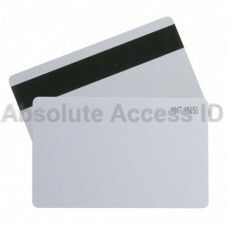 ..
Farpointe PSI-4-A AWID compatible standard light proximity card is made of a durable PVC material. ..
Farpointe PSK-3,Key Tag is a small fob style credential, attaches to any key ring and includes reinf..
Farpointe PSK-3-A Proximity Key Tag (AWID Compatible) Farpointe Proximity Key Tag, PSK-3-A, AWID ..